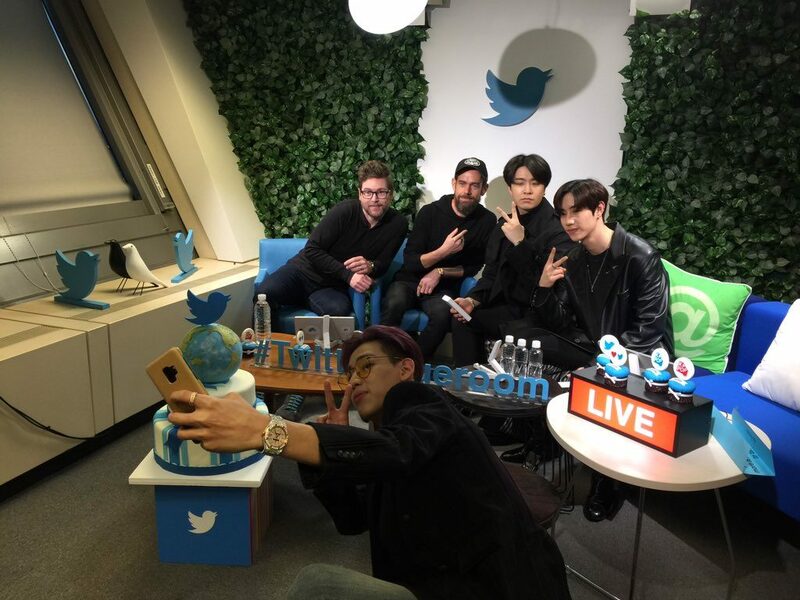 GOT7 members Mark, Young-jae, and BamBam, met with Twitter creator and CEO Jack Dorsey to chat about K-pop and how the micro-blogging site has helped it grow. 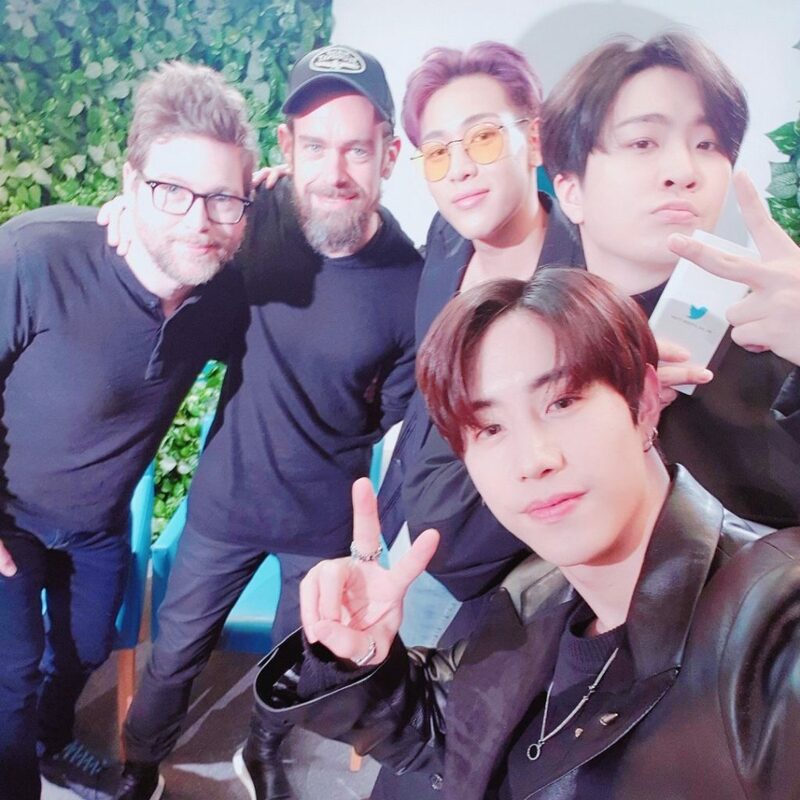 For the past few days, Twitter CEO and founder Jack Dorsey has been in South Korea where he has had an opportunity to meet president Moon Jae-in, attend a press conference, and even sit down to converse with K-pop idols. It is part of the silicon valley power house’s international tour of regional offices. While there were a variety of subjects to talk about, one, in particular, held the most discussion time: K-pop. K-pop has contributed to Twitter’s resurgence in South Korea, the CEO of Twitter Korea Shin Cheong-seop acknowledged in an interview last year. When Twitter was introduced to the country in the early 2010s, daily user use was far below other places in the world. However, after actively expanding K-pop idol group accounts and broadcasting interviews on Twitter in 2015, “fans began to flock to [Twitter],” for the artists domestically and around the world revealed CEO Shin. Dorsey echoed this sentiment. “K-pop loves Twitter; Twitter loves K-pop. Certainly, we benefited massively from people choosing us to have a conversation about their passion,” he said Friday. According to the micro-blogging site, South Korea ranks as the second fastest growing revenue market for the company. This year it may ascend to first place. On Friday when he sat down with GOT7 member Mark, Young-jae, and BamBam, Dorsey and another company representative chatted about how they discovered and used the program. BamBam commented that he likes to use Twitter because it is one of the “fastest ways to connect with people” all over the world. This connection is one of the reasons why K-pop Twitter is growing so much. With a legion of followers groups like BTS (14.4 million followers) and GOT7 (6.2 million followers) have fans who had translated updates and shared information on the platform years before the entertainment agencies started providing translations themselves. 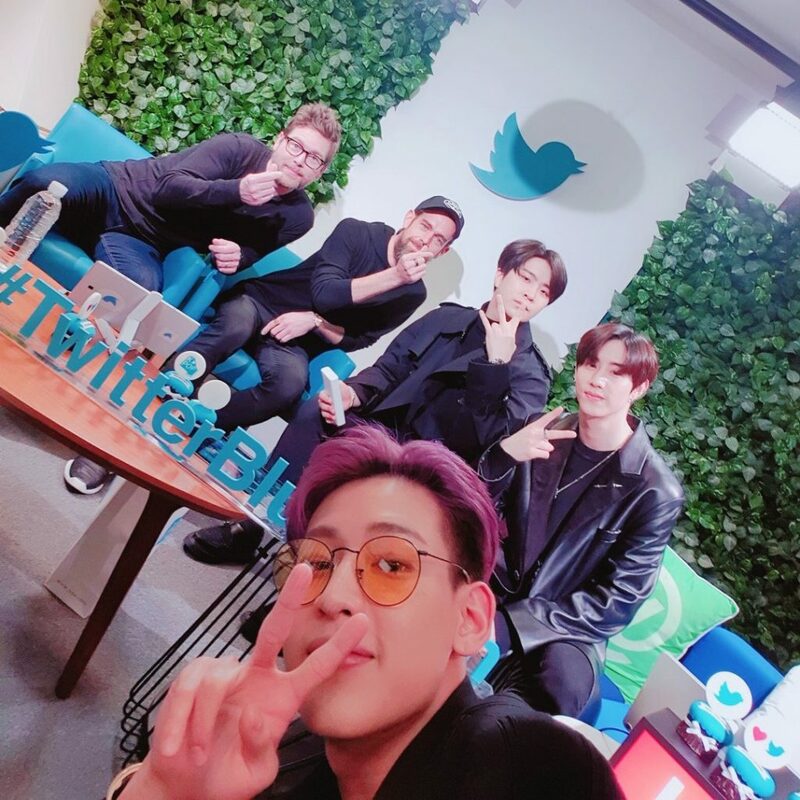 While GOT7 members have seen the benefits of the platform in communicating with the fanbase, Youngjae presented an idea for a better and more intimate way to speak to fans when Dorsey asked them how they would run Twitter. “If [we] could make a room and put a limit on the number of people in the room [and] the first people to get into the room (sic) gets a chance to talk to you,” he said through a translation by member Mark. His idea was well received by Dorsey, and with South Korea and K-pop playing an important role on the platform, his idea might take hold. Check out their full conversation here.